What Causes Poor Peripheral Vision? Peripheral vision refers to your ability to see objects that are to the side. If you're looking straight ahead, you'll notice that you can see things even out of the corner of your eye. Beyond its importance to the survival of early humans and its usefulness when driving or playing sports, peripheral vision makes plenty of everyday tasks much easier. Unfortunately, there are many eye conditions that can cause vision loss, which includes the loss of one's peripheral vision. 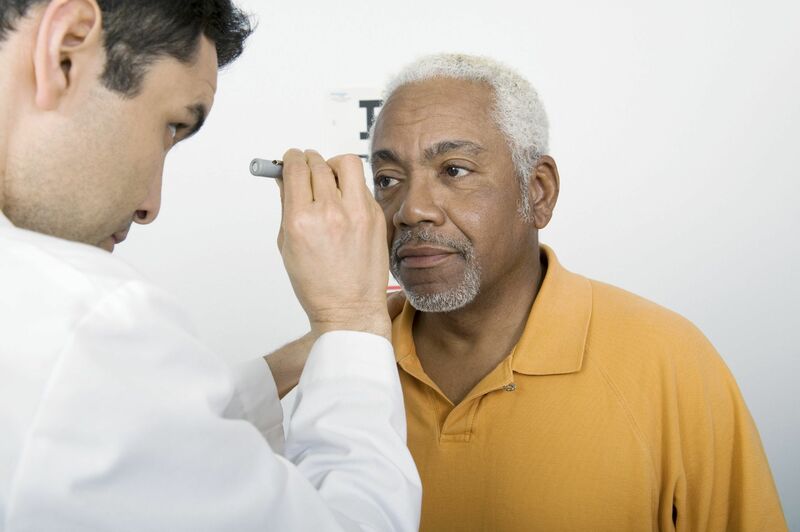 The team at our Detroit eye care clinic would like to take a moment to consider what issues can cause the loss of peripheral vision and what treatment options are available to you. As a person loses their peripheral vision, this leads to a reduced overall field of vision. Sometimes the field of vision narrows to just the central portion of your vision, a condition known as tunnel vision. These changes in one's field of vision can occur quickly or gradually over time. If you notice the above in addition to changes with your peripheral vision, it's important to speak with an eye doctor as soon as possible. You may be suffering from one of the conditions listed below. Glaucoma is a type of vision loss caused by excessive pressure within the eyes. This leads to damage to the optic nerve and irreversible loss of vision. While glaucoma is incurable, there are a number of medications and surgical treatments that can reduce intraocular pressure and slow down the rate of future vision loss. Retinitis pigmentosa refers to a group of genetic disorders that cause the breakdown of cells in a person's retinas. (The retinas are the light-sensitive tissue located at the back of the eyes.) In early stages of the condition, the night vision and peripheral vision are often affected first. RP can be treated with various medications, supplements, and therapies, with vision enhanced using various assistive devices. Eye strokes refer to blockages that affect the arteries or veins. These in turn result in the loss of vision. Branch retinal artery occlusion (BRAO) and branch retinal vein occlusion (BRVO) can result in loss of peripheral vision. Medications, laser treatment, and other therapies can help address the blockage and restore or partially restore vision. Retinal detachment occurs when part of the retina peels or tears from its position at the back of the eye. Depending on the affected part of the retina, this can lead to vision loss in different parts of a person's field of vision. Immediate medical attention is necessary to reattach the retina or mend retinal tears. If you suffer from a serious brain injury or from brain damage, this potentially can have a number of effects on your senses. One possible problem involves the loss of peripheral vision and changes to your eyesight. Given the nature of brain injuries and issues that impact the brain, it's important to meet with a specialist to learn about treatments for your condition. For more information about treating issues with peripheral vision and enhancing your eyesight, be sure to contact our team of eye care specialists today. We will discuss these matters with you during the consultation and exam process.